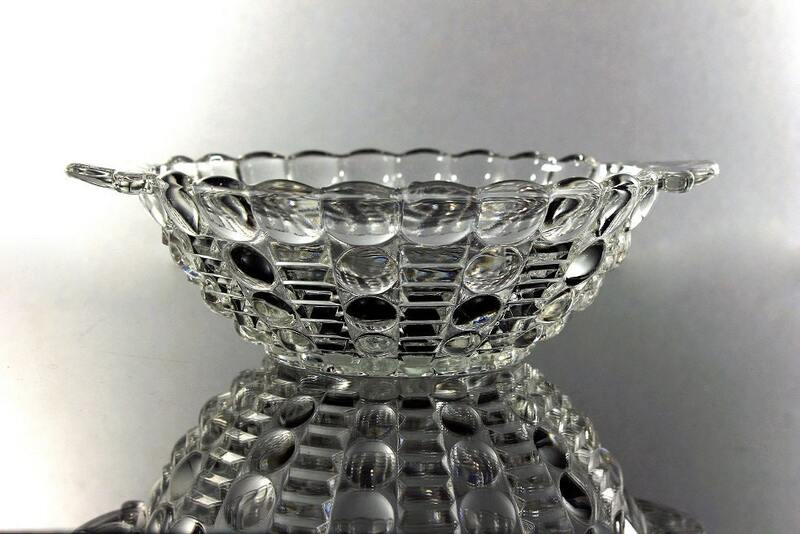 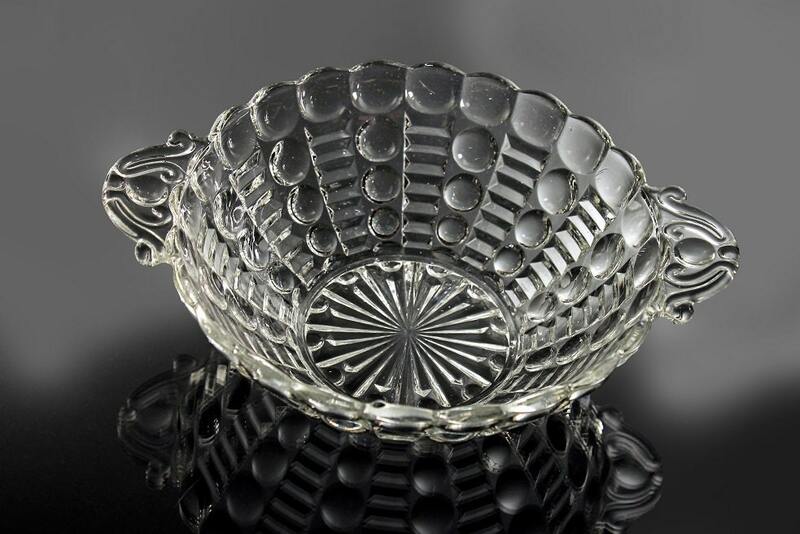 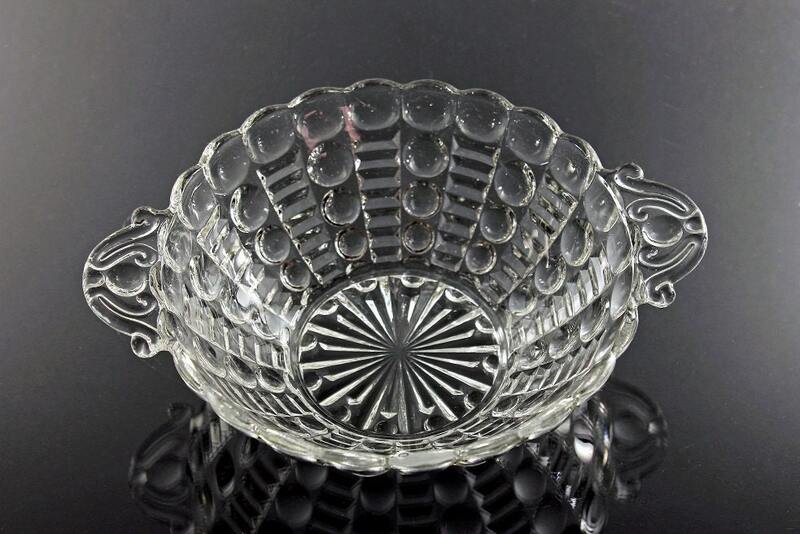 A charming clear glass bowl by Anchor Hocking. 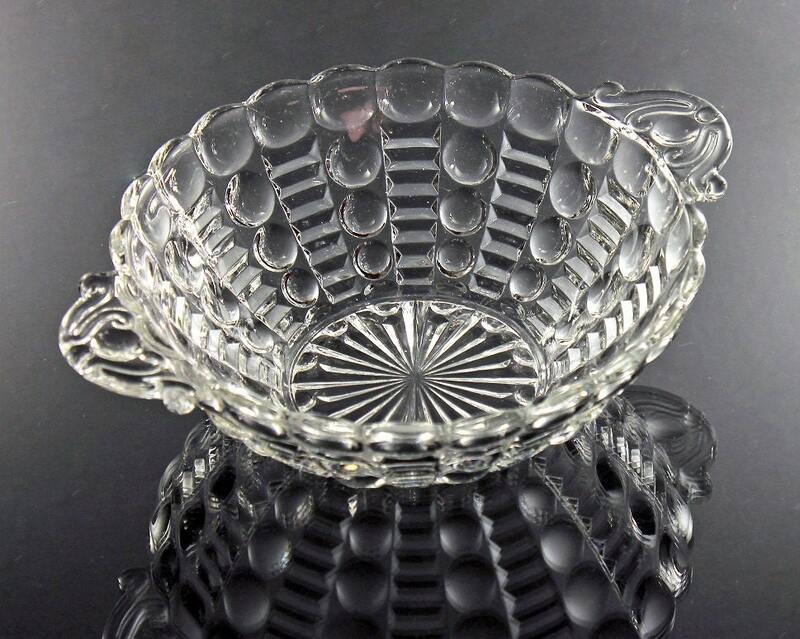 It has 2 handles and is in the Dot and Bar pattern. 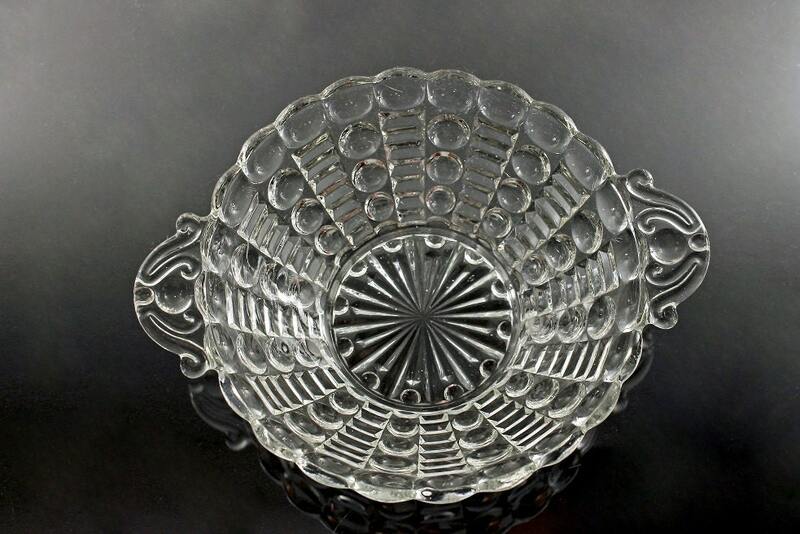 This would be a great serving bowl, sauce/salsa dish, trinket bowl, or nut/candy dish.